Managing Systems and Documentation addresses the main systems necessary for the successful operation of a maintenance organization, such as performance control, work control and documentation. It shows how they can be modelled, their function and operating principles, and the main problems encountered in operation. 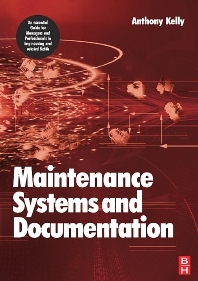 It is the third of three stand-alone companion books with the aim of providing better understanding of maintenance operations, in order to identify problems and prescribe effective solutions.